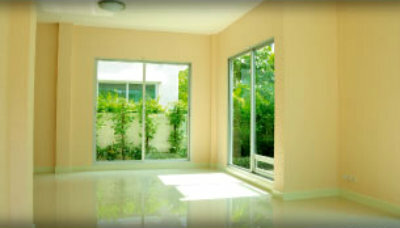 Nothing spruces up a shop, office or home faster than glistening, glass windows. To create an effect that will immediately improve both the look and feel of indoor space, hire a professional window cleaner. TrustedCleaner follows a rigorous formula to make sure only the most trustworthy window cleaning services earn a “Fully-Verified” listing on its website. At the moment we are working to vet and verify local Sydney end of lease cleaning companies. Due to the significant amount of detail required to complete verification, this process takes time. In the meantime please take a look at the shortlisted companies below. AusClean boasts of their ability to get the job done with a 100% bond-back guarantee. Not only does AusClean provide their own cleaning materials and equipment, but they are available seven days a week. Fixed hire rates are available via the AusClean website, creating a straight-forward hiring process. Inquire over the phone to find out about special deals and rates frequently offered. End of Lease cleaning has become one of the specialities of Sydney City Cleaners, so much so that the company fully guarantees their customers will get 100% of their bond back. Sydney City uses vetted cleaners, and tools them with the supplies to get the job done properly—which they must be doing considering 87% of customers are repeat. Free, no-obligation quotes are available. Five years of service have helped Blue Clean End of Lease Cleaning Sydney grow from a basic domestic and commercial cleaner to one that can handle the finer points of bond cleaning. Free, no-obligation quotes are available online and all Blue Clean employees have full liability coverage protecting customers against potential damage. Go online to the Xquisit website to view testimonials from former customers. Correct Impression offers inclusive bond cleaning packages at competitive rates to cut down on the need for a quoting process when it comes to end-of-lease cleaning. Aside from basic bathroom, bedroom and kitchen services, Correct Impression will provide carpet steam and window cleaning for an additional fee. All work done by Correct Impression cleaners come with a 100% satisfaction guarantee. Don’t like the job they do?—they’ll come back and clean it again at no-cost. Other Recommended Experts in Sydney, NSW: Meet our carpet cleaners & our short-listed tile, rug & upholstery cleaning companies who service all Sydney suburbs.